Use the ordering books link for a complete list of required books with direct links to best place (cheapest!) for ordering. Prices change so do shop around. In the near future we plan on purchasing an inventory of all books and opening our own bookstore. We have a large selection of PDF articles, professional studies, research papers, and booklets, from many sources to widen your studies. There is also a section for recommended books. If you find excellent sources or a favorite book send us an email (link or PDF) and we will get it added! The study group schedule page link is also under each class on your program page. The schedule changes each month with each class revolving to a different day (one month it is on a Saturday and the next month it will be on Tuesday or Thursday). In the future we will be making videos of the classes so you may “attend” anytime! There are basically two types of testing methods to determine which supplements/formulas will work best for your client: Muscle Testing/Kinesiology (many variations and names) and EAV/EDS/Biofeedback (many variations and names). Reliable, ease of use, great company, training available…details and training videos may be found on the EAV/EDS page. Each company has a set of directions to follow to set up an account. From experience, do call them or send a reminder email if they have not responded within a week. The following is a list of companies that have quality products (there are many not listed). We are still working on getting clear directions from some of them. SYSTEMIC FORMULAS: Use the link for specific directions on opening a student account. ENERGETIX: The link will take you to a PDF document. Download and save to your computer. Fill it in and email the form to Energetix (same format as your tests!). “Yes, a valid copy of your student ID card works as well”. Student ID Card Template (like your tests, download to your computer, fill in the blanks and save). MARCO PHARMA: ” Greetings Sharlene! Thank you for your continued confidence and interest in the Nestmann protocols and remedies. 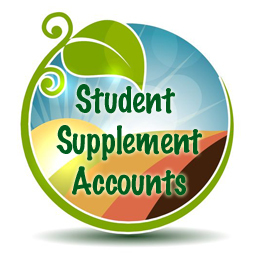 We look forward in assisting your students with their professional accounts. The students may contact us here in Customer Care (TJ Lapite, 800.999.3001, Ext. 110) or apply at www.marcopharma.com. The registration form is the application for a professional account. The referral should be Genesis School Of Natural Health. For further assistance, I can be reached at the telephone number referenced below. If needed: Student ID Card Template (like your tests, download to your computer, fill in the blanks and save). NATURAL PARTNERS: carry a variety of products including some from Professional Formulas, Progressive Labs, Garden of Life… a good way to save on shipping when you need small orders from various companies. Go to the tab that says SHOP ALL BRANDS to find a list of companies. Not all products are great – read the ingredients! There is a drop-down list on the signup form that says student. You will need a student ID card. Student ID Card Template (like your tests, download to your computer, fill in the blanks and save).